With new web coding languages being created every day. It is nice to know which ones can help and what they can do for your website. In development, there is a new coding language called Ajax. 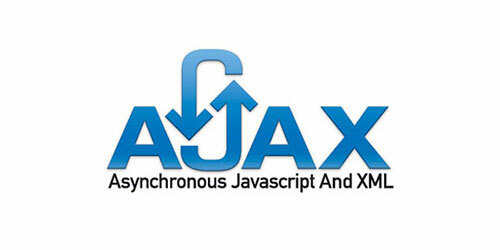 Ajax is a new coding language that helps client side scripts communicate to the server. This is useful as it doesn't require a postback or page refresh to process database queries. Ajax can communicate with the backend server database without the typical "refresh screen". Normally when working with a form you would have to click submit to process your information. This would cause redirect a new page or refresh the current page. With Ajax there is no need for extra pages or refresh. Utilizing Ajax in your front end code. Your visitor can click submit. Have the information dynamical change without leaving the current page. Ajax can process all types of database queries. You can query information and display it back on the current page. Ajax can be used more than sending database queries and displaying information. With the help of jQuery you can use Ajax to pull text documents and parse the information. Information like XML and JSON are files with a hierarchy. They need to be parsed to make it easier for the client side users to read it. With Ajax you can have it to pull these files without the user changing the page. Once the information is back, have your jQuery code do the rest. There are multiple areas you can use Ajax in. There are some common ones that you have probably seen, but didn't notice they were using Ajax. If you have any of these elements on your website. It might be time to look into how you can make them more dynamic. Doing simple Ajax requests for logins and for validation can save your visitor a lot of time. In result, your user has a better experience. Ajax is a great new technology that can help you make your website more dynamic and easier for the user. Google has already implemented this new technology to their maps, email, and other services. E-commerce sites have used Ajax for their shopping carts. Making their checkout process and search functionality easier. Ajax can make your client side experience more efficient. I always used to take help of w3 school for reading Ajax concept & fundamental but after reading your blog both resources (AJAX Tutorial | 50 Excellent AJAX Tutorials ) are excellent for solving ajax problem .